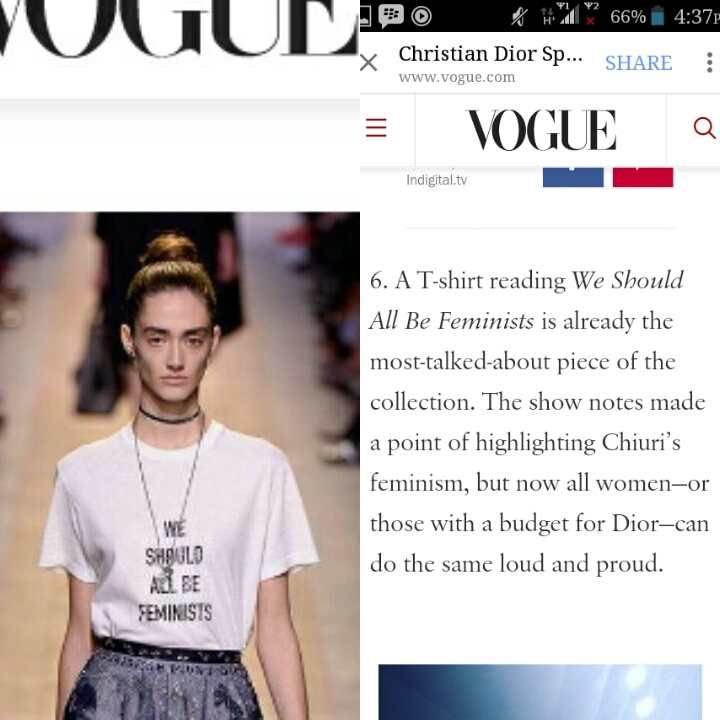 5) Her celebrated TED talk “We should all be feminists” was featured on T-shirts in Maria Grazia Chiuri’s debut Dior show earlier this month. Said TED talk has received millions of views across the world. 6) And now she has become the face of Boots No7 make-up, with her debut campaign launching on today. 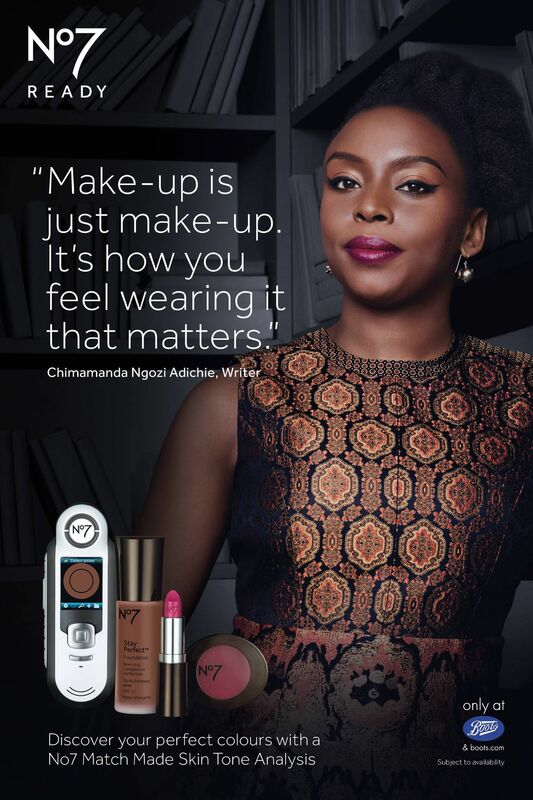 The campaign launches on television, online, in print and in outdoor media today, October 21, with Adichie speaking about how she used to fear being taken less seriously because of her love of make-up, but later came to embrace it as a tool, an enhancement and as part of her own identity. “I like makeup. I can intellectualise it and say that it’s also partly the idea that I refuse to accept that somehow feminism and femininity are mutually exclusive,” the author said in a recent public address. Ngozi Adichie believes that beauty can be part of one’s feminine identity and that using makeup as a tool to choose how she presents herself. As a feminist I find it very offensive that femininity means you can’t be taken seriously. I refuse that. I insist that women should have a choice to be as feminine as they like, as they want to be and still be taken seriously. You don’t have to wear oversize suits to be taken seriously. My suggestion perhaps is that men should try wearing high heels. I think it’s a good idea. High heels help you with your posture. The novelist said in a statement emailed to Mashable. We are proud of you! Keep crashing through glass ceilings and making paths for us!!! We are here cheering you on. She seems to be an amazing woman. I am going to do more research on her. Thank you for sharing this with us. She is. And you’re welcome! “My suggestion perhaps is that men should try wearing high heels. I think it’s a good idea. High heels help you with your posture” (probably sarcastic) Maybe God (for Christians) and biology (for scientists) should be questioned why men don’t have wombs (my own sarcasm). And since Beyonce’s feminism isn’t her type of feminism, who then has the deity right 9or maybe patent right) to proclaim that “all should be feminist”? Doesn’t that defeat the purpose of the call in the first place if there are different denominations/sects/tongues of feminism (which has been one of my longstanding criticisms of this movement called feminism) I have read the various publications by Adichie in the past few days, and the inconsistencies and controversies intertwined in them actually call for critical analysis on the part of those who are her disciples, and even to other young women out there. There are serious issues such as education, child marriage, child labour and prostitution as regards the girl child and young women that need urgent on-the-field attention in the form of mobilization of funds, human and other resources to areas in the world where these are highly prevalent; and many of those involved in these works are doing them quietly. 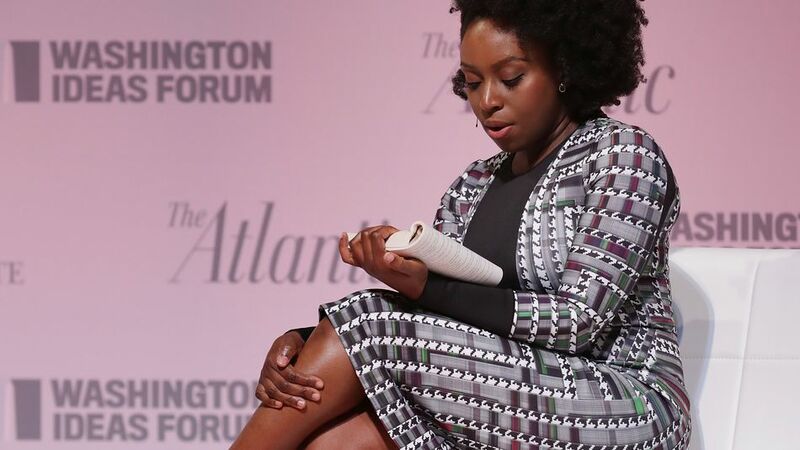 Whatever Adichie is sermonizing (feminism), especially some elements in that Chizalum essay, needs research-based evidence (either retrospective or prospective) in terms of directly proportional tremendous sociocultural and socioeconomic growth and development to authenticate its adoption by her disciples. For Adichie’s disciples, I advise that they have their own individual compasses for verification as she navigates them through the turbulent sea of what she calls feminism. I do not have a choice. Lol!! Everyday she keeps cracking glass planes for people like me and for the entire human race.